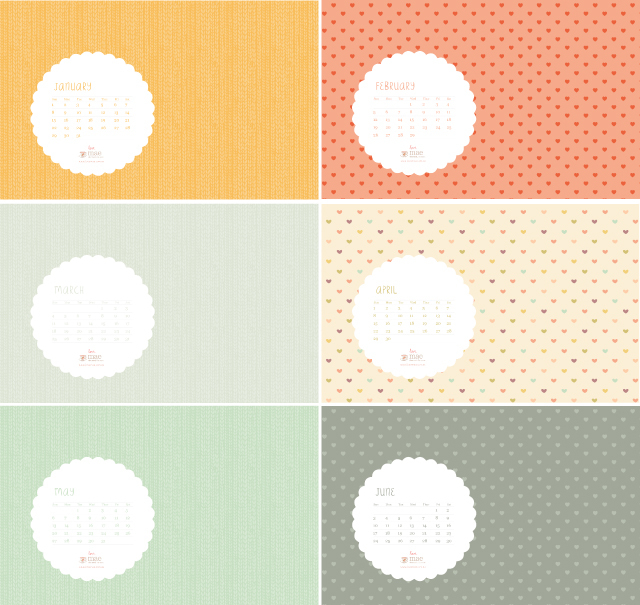 The start of each month we will post a free desktop calendar wallpaper for you to enjoy. We got such a great response last year that we wanted to continue the love. I've been using these for months and so delighted you made 2012 ones! (LOVE the hearts - whee April!) Thanks again for making these available. I used the ones from last year and i am so excited that you decided to do them again this year! Thank you! Thank you! Love them all! Thank you~~I look forward to a new one each month! Great calendar! I've featured it over on my blog too. Thanks for the wonderful design and inspiration. Thanks for the sweet design. I posted the calenders on my totally new blog, I'm sure it's gonna be a winner! Also, thanks for all the awesome freebies! Thanks so much - this is brightening up my work computer nicely! Thank you thank you!!!! What a sweet thing to start off the year with. It really touches my heart! Love from India! Try clicking the link on the feb post. where can i download the march calendar??? thanks!! Each month a post will have the link for the downloadable calendar.